Fixed departure that leaves everyday from Manali. Solo travelers can join any group. In case you are a large group yourself and would want an exclusive departure, that can be arranged too. Hit the talk to the host button, and we will make it happen. First day is reserved for meet and greet, and orientation, after you reach the base camp in Old Manali, the trek leader will take a small orientation session, covering information like packing, walking techniques. You will also be given general information about the trek and the route. Stay overnight at the base camp. On the second day we leave the base camp by 8 AM. We will be carrying lunch and breakfast with us. The first leg of the day’s travel would include a jeep drive from Base Camp to Hampta Dam. The way that leads to Hampta Dam is lined with Maple, Pine, Walnut and Oak trees, making it refreshing and enjoyable. After reaching Hampta we prepare to trek to Chikka, which is also our final destination for the day. It will take approximately 2 hours to reach this place, and it is also an easy stretch, crossing two wooden bridges and a small patch of forest. We reach the campsite at Chikka and prepare for our stay overnight. The third day Trek is a gradual ascent. While Trekking, we will be able to see the spectacular Dhauladhar range in the background and Indrasan peak in front. The best part of today’s Trek that we have to cross two rivers one at the start just near to Chikka Campsite and other at jwarancusa. We will have our packed lunch after crossing the jwarancusa. This day we have an easy descent through the Hampta Valley. 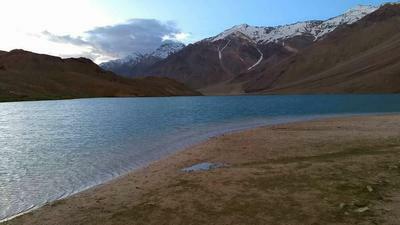 The massive mountains of the Pir Panjal and Spiti ranges dominate the entire landscape till the campsite at Chatru. Chatru is a confluence point of paths from Rohtang Pass, Hampta Pass and Spiti. From Chatru if road and weather condition permits, we will head to Chandratal and camp at suitable place according to the conditions. In the morning after breakfast, we leave for Manali via the Rohtang Pass. Our wonderful Experience of Trekking in Himachal ends.